For 12 years Fauquier has hosted the Falcon Duals where they have traditionally had five other wrestling teams come into the nest of the Falcons to compete in a 5 round head-to-head dual meet. At the end of the day, this holiday wrestling tournament hands out a 1st and 2nd place team trophy and 1st and 2nd individual medals (at each weight class). With Fauquier already competing in three away meets with some great season success thus far (earning 1st place in two of the three meets), the Falcons now found themselves flapping their wings in front of the local Fauquier Nation fans hosting their first home meet this season. Yes the Falcons did put on a show dominating each round; all one has to do is to look at the box scores to see the point margin as the team now improves on its undefeated 10-0 season. Coach Fisher once again took steps to shuffle the starting line-up around for this event by bumping eight wrestlers up from 106 through 152 weight class. This does not occur often as it can sometimes back fire but somehow Coach Fisher knew his team would step up to this challenge. In the end the team did respond well as four wrestlers finished in first place: Matt Raines at 120, Chuck Hilleary at 138, Tyler Budd at 145, Seth Baker at 160, and Evan Oddenino at 285. Six other Falcons that fell short with one loss also ended the day with hardware taking second place: Marco Tcheukado at 113, Bennett Payne at 132, Landon Dean at 152, Max Strum at 170, Aldair Ramos 182, and Henry Weber at 195. Fauquier started the day simply running through Culpeper 65-12 in round 1. Culpeper's only two victories came from the two forfeits that Fauquier forfeited (106 and 220) as the Falcons won each head-to-head match. Round two witnessed Fauquier thumping (AAA) Osbourn 55 to 15. A team that the Falcons saw earlier this season at Skyline Elite Opener only gave a test to Fauquier at 119 and 132. During this match Coach Fisher also jockeyed Henry Weber up to the 220 pound weight class as Henry earned a pin over Luke Henry. Coach Fisher moving Henry up a weight class created a double forfeit at 195 and made sense since no points were lost in the move. The biggest test for the Falcons for the day came in round three where the Falcons wrestled Rockbridge. Fauquier won 49-24 over Rockbridge as the Falcons earned four pins that sealed home this victory. One of the key matches for Fauquier was the 170 pound match between Fauquier's Max Strum and Quentin Youngblood. Youngblood currently is one of the top ranked kids in the state and he beat Max Strum in a close 5-1 match. The final two rounds, round four and five saw more of the same hard nose wrestling from Coach Fisher's squad as Fauquier continued to get their arm raised match after match by beating Jefferson Forest 48-9 and (AAA) Oakton 52-15. 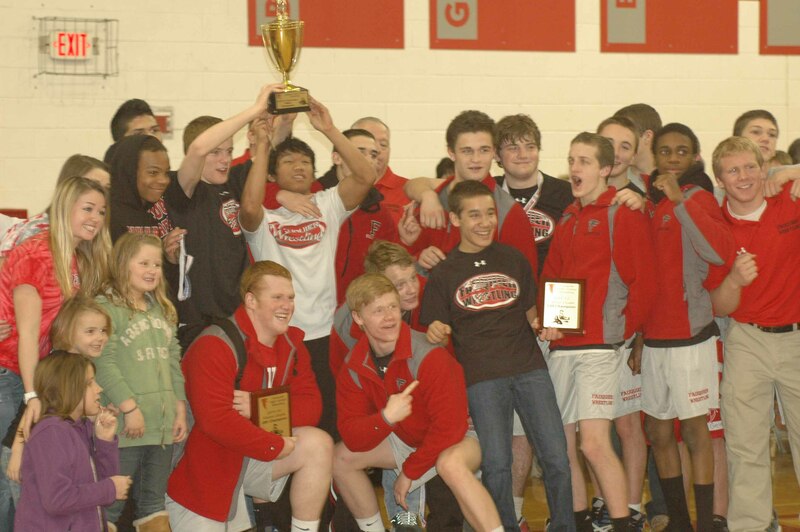 There was no let down with team Fauquier as the home fans were treated to some great wrestling. This is the first time that we have seen that you have shifted haft the team up a weight class. It seemed to work out but what was the purpose for this? Coach Fisher: Coming off of the holidays we had a few guys traveling, missing practice, etc. That makes making weight a much greater challenge than normal. Wrestling up a weight class is also an additional challenge. I chose to challenge them on the mat, not on the scale. Now that the team is 10-0 and you have won three different wrestling tournaments can you reflect on the season thus far? Coach Fisher: Even though we have been very successful thus far, this has been a very challenging year. We have yet to have our full lineup in place, and will continue to be shorthanded until later this month. The up-side is that some of the younger guys have had a chance to step into the lineup and get some great varsity experience. In Coach Fishers eyes who seems to be the kid on your team who has improved the most since the season started? Coach Fisher: I cant narrow it down to just one. I think that Marco Tcheukado has made huge gains since last season, while Tyler Budd has really come on strong the last 3 weeks. 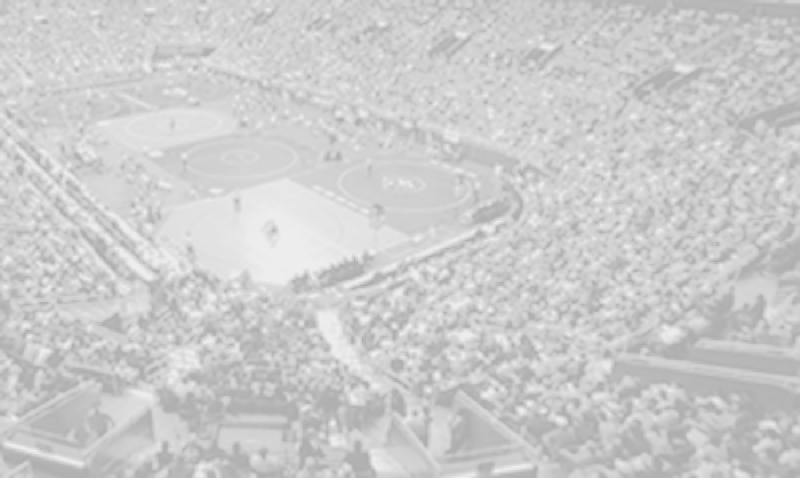 You have some district matches forth coming and two big tournaments on the schedule within the next two weeks; any concerns with the team with these upcoming meets? Coach Fisher: The Millbrook tournament looks like it will be a good challenge for us with returning AAA state champs Robinson and some tough kids from Millbrook, and St. Chris. I am looking forward to seeing how we handle the tough competition coming off of the Christmas break. Some special guests from the past also showed up to see the team in action; Van Grimes, Jake Fahlfeder, and Conner Miller all were home from college and came by to support the Falcons on the bench. Also to host an event like the Falcon Duals, Fauquier Nation would like to thank all the volunteer help for assisting with this event. Next Meet: You can see Fauquier once again as the team will be hosting a District Tri meet this Wednesday, Jan 4th. Below is the results of the Falcon Duals.